With Valentine’s Day almost upon us, I prefer to opt out of eating out. 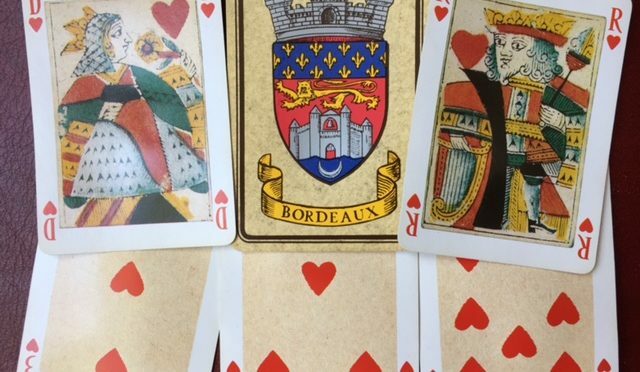 Ask anyone in the restaurant industry and they’ll confirm that Valentine’s Day is right up there with Mother’s Day as a disappointing dining experience. Besides, it’s hardly a night to be part of a crowd. This year, I decided to surprise Jim with one of his favorites for dinner, swordfish. No chocolates while on a low carb diet so I decided to crown the swordfish steak with my favorite, king of sauces. Hollandaise is sinfully indulgent without having to give a thought about calories (if you’re not counting them) because there’s not a single gram of carbohydrate in the sauce. That is if it’s the real deal. The same is not true for hollandaise sauce made from a mix. These products are usually thickened with some form of starch and have a disappointing watery flavor. In fact, most brands don’t even resemble hollandaise sauce if you were to do a side by side taste test. Hollandaise from a mix may be lower in calories but higher in carbohydrates. I think most people resort to a mix because hollandaise has a very temperamental reputation. As a teenager, I tried mastering the sauce the old fashioned way over a double boiler of barely simmering water. It was very frustrating as I would hold my breath praying it wouldn’t break down and curdle. Then came the “blender hollandaise” phase followed by the food processor version. Both are the same idea. 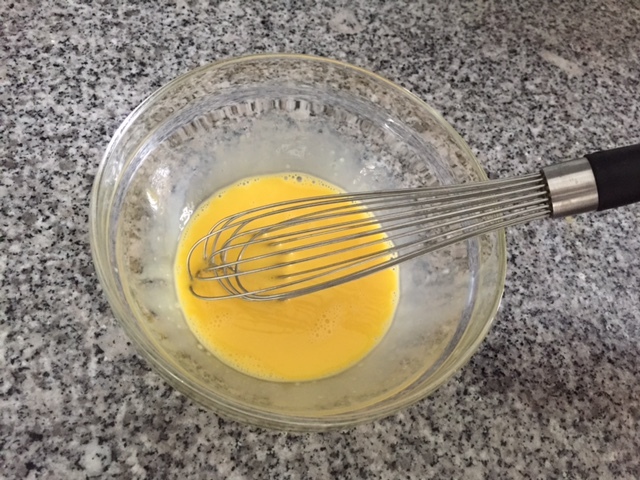 Hot melted butter is gradually poured into egg yolks and lemon juice while the blender or processor is running. This insures a smooth sauce. However it’s so emulsified and aerated that some of that distinctive hollandaise flavor is lost. 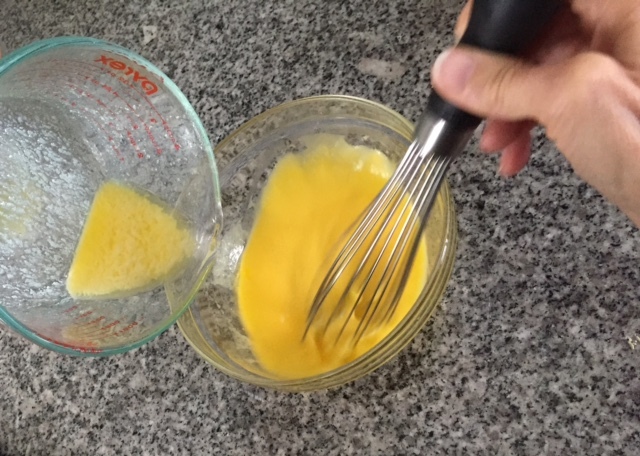 Over time, I came up with this microwave version that is quick to make, holds up reasonably well and has all the full bodied flavor of traditional hollandaise. The key to making this is to know your microwave as some cook faster than others. 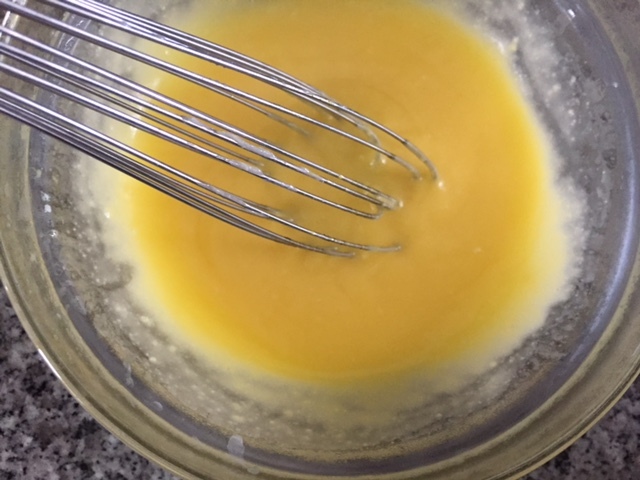 Hollandaise sauce usually works out best in small batches and my method is no different. 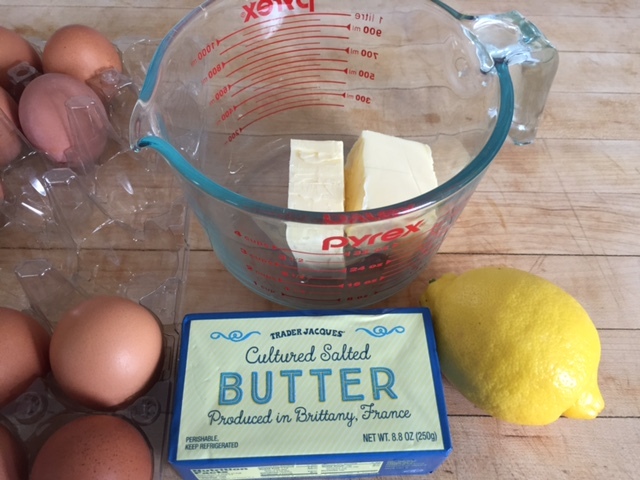 After all, should a disaster strike do you really want to throw out a pound of butter and a dozen eggs! No fears here though. I’ve never had a problem with this recipe. 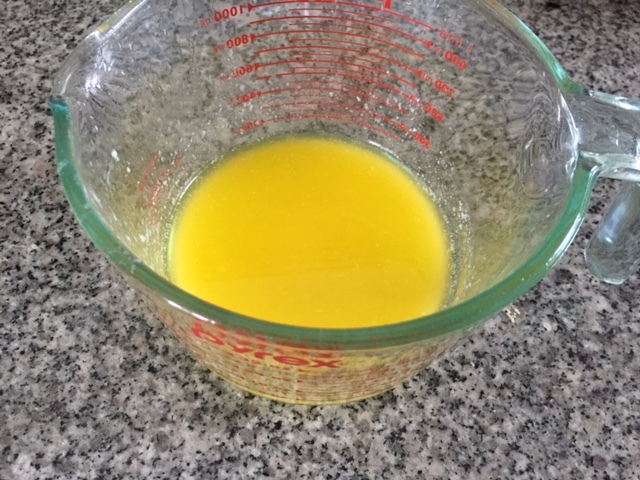 Begin with 1/2 cup (one stick of butter) and melt in a 1 quart glass measuring cup in your microwave. Proceed slowly as you don’t want to get this so hot that it explodes. I start melting at 20 second intervals until it liquid but not boiling. 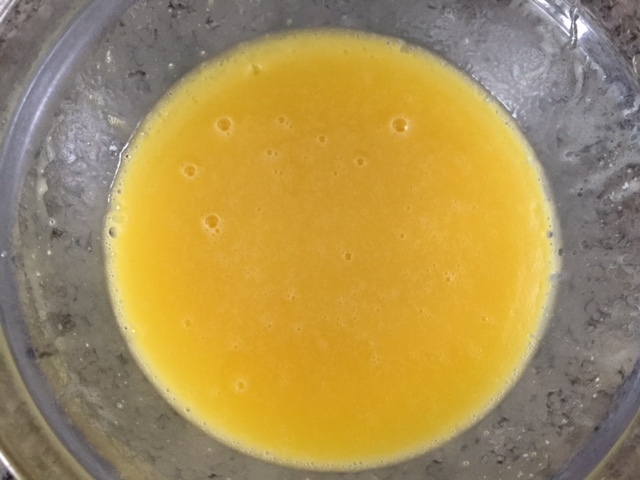 Next, beat 3 large egg yolks together with 1 Tbs lemon juice in a microwave safe glass bowl. Heat 30 seconds in the microwave. The sauce should thicken around the edges. Blend with a wire whisk. Return to the microwave and continue cooking at 20 second intervals, whisking smooth each time until the sauce is lightly thickened. 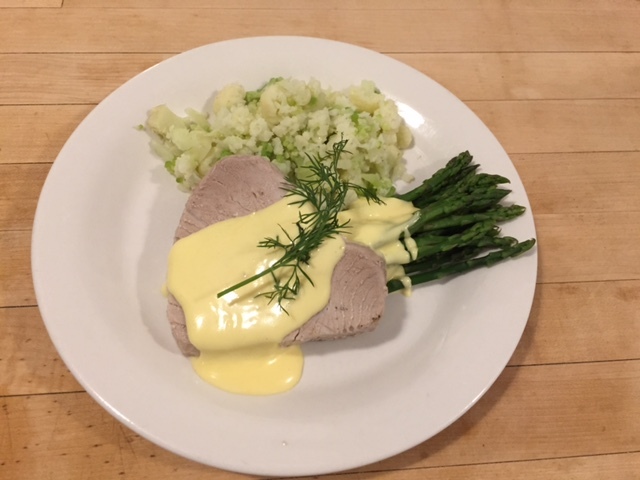 Here I’ve served it over a poached swordfish steak and served it with asparagus and minced cauliflower. Love at first bite!